One of the reasons that I cried early in the life of my first boy, when met with the reality of being unable to exclusively breastfeed him, was that I was unable to keep him alive with nothing but myself. I imagined that if he has been born a century ago, he would not survive. It was months before I acknowledged this thought and voiced it to my husband, who immediately reminded me that there were wet-nurses for such a situation, and of course he wouldn’t have died. That made me feel a lot better, until I realised that we were considering only a world where there exists such resources, where women would be available and willing to provide such support to each other, or where I had money to be able to pay them if needed; a world free of extreme crises. If we suddenly were to find ourselves thrown into a wartime situation, running for our lives, I would not have enough milk to be able to sustain my baby. Yes, these are the things I thought about. And these are still the things I think about! Perhaps this is my bizarre way of feeling gratitude for the situation that we are in, for the resources that are so freely available to us to ensure the health of our children and ourselves. A friend recently asked if anybody else is feeling the need to start honing skills and hoarding supplies in preparation for the world to become “a bad (but very real and less glitzy) version of Mad Max”. I was reminded of a novel I read in preparation for the Zurich Writer’s Workshop a few years ago, where a Polish woman was breastfeeding her nine-year-old son while living in the forest during the Second World War. Having a milk supply is handy. I am then, though, curious about the effects of stress on milk supply (but there’s a whole other post there…). 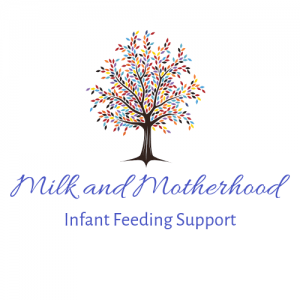 There exists many stories among mothers where stress has ‘dried up’ their milk, or at least significantly reduced their supply, like Sharon’s weaning story after the loss of her sister-in-law, or my own mother’s description of her milk drying up when I was a few weeks old, after my dad’s stepfather died. And there does exist a real study (!) 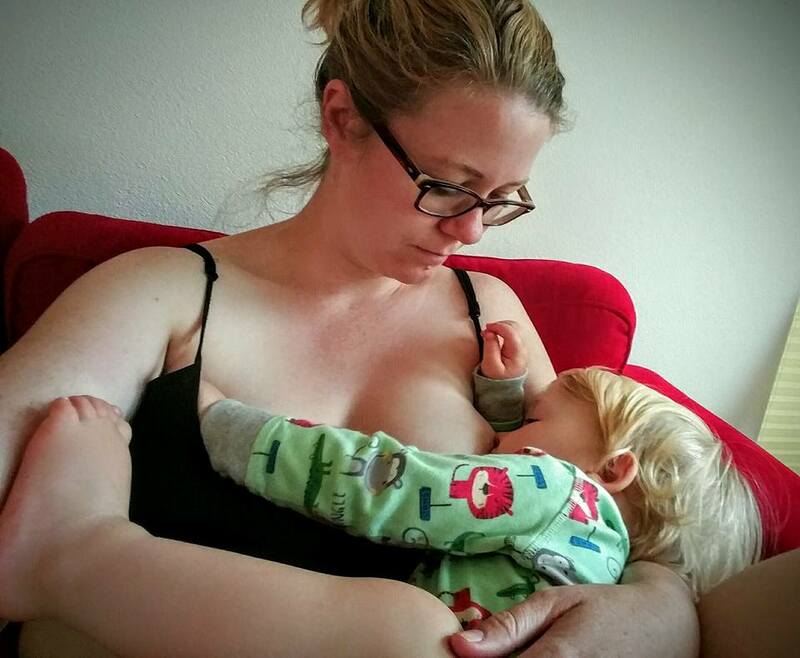 that demonstrate that “various types of stressful stimuli can depress lactation”. Surely being thrown into a life-or-death wartime situation is as stressful as it can get, right? When I was in Berlin for a breastfeeding study day recently, there was the mention of Hurricane Katrina and some of the horrific stories that emerged. There was a discussion of the importance of breastfeeding for survival in emergency situations, and how the risks to a not-exclusively-breastfed baby in such situations is incredibly high — lack of a reliably constant source of formula, lack of a reliably constant source of clean water, and lack of guaranteed sterility of bottles and teats. Breastfeeding in emergency situations ensures a baby’s nutritional security, so long as the mother has enough food and water to ensure her own survival. 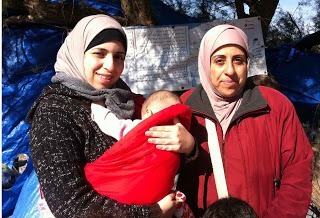 I mentioned that I had heard that formula samples were being handed out to Syrian refugee mothers. As such, a flurry of lactation support headed to landing sites to assist mothers by providing education, support, ensuring good nutrition and hydration, and a safe place for them to breastfeed, and potentially even the education and support necessary to allow relactation. Am I the only person that thinks of these things? I also think about this deeply but not from a feeding an infant perspective, but from a birth perspective. If I couldn't have had an emergency c-section with my first born, I'm not sure I or he would have survived. I still have a huge tug at my heart when I actually voice that. For someone who had planned a home birth, this was as far away from my thought as possible. Just as for you not being able to exclusively breast feed your first was. Are we lucky we have healthy kids? Yes…is it because we live in this century and in a country without war? Yes. Are we still affected by our reality? Yes. I'm with you…feeling it deeply, and I think that's ok.
On another note…from the perspective of someone who helped people off boats who were escaping possible dire situations…I was amazed at how many women didn't breastfeed. There were a few and I made sure they had extra food and water (especially that one new mother of a 10 day old who was very wobbly and obviously in need of a rest…), but many mothers and fathers were asking for formula for their babies the minute they landed. We didn't have any, but were told there was formula at the camps, but all I could think of was…what if there isn't formula? And what do they do when they leave the camps and start the journey north to where ever it is they are hoping to get to…what do they do on the road? What have they done until now? I couldn't help but think how helpless and constantly scared they must be that they might not be able to feed their babies…sigh. Thanks for the thoughtful comment, Walti. This is something that I continually strive for, and something I definitely appreciate the value of. what an interesting post. Breastfeeding really is so important. It is so horrific what formula companies do to disempower women from naturally feeding their babies. Really thought-provoking post. I personally remember just feeling so incredibly grateful that my twins and I survived child-birth and that we live in a country where there are alternatives to breastfeeding when it doesn't all go as planned… It is harrowing to think about how it must be for the millions of women who aren't so lucky. The rigmarole of cleaning bottles, keep everything sanitized etc. is unthinkable when you don't have access to clean water. And yes, I agree with Kate's comment above. It is almost reminiscent of the Nestle formula scandal in the seventies. Absolutely. Harrowing is the perfect description. It's funny, on the flip-side, I then also consider how things will be different in another hundred years' time, and what things people would then feel so lucky to have access to. Wonderful to know I'm not totally crazy!